Maybe you selected a song to learn, purchased it, and have spent hours looking at it while practicing. 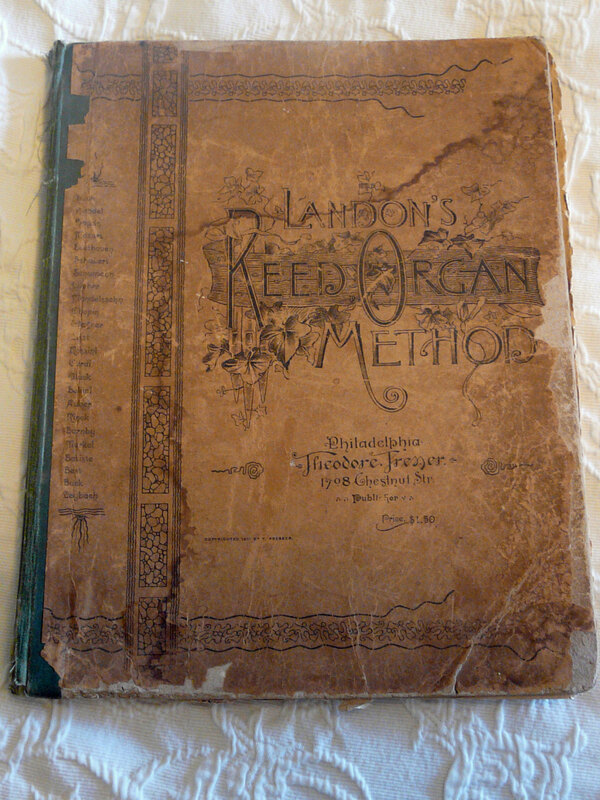 Maybe you found some old pieces of sheet music in a piano bench. Have you ever give stopped to think how that page of music was printed? There were — and still are — multiple ways to create a page of music, but I’m talking about how to make a fine edition “back in the day.” Before computer printing, before mistakes could be corrected by a couple of keystrokes, before songs could be created without a true knowledge of the language of music, there were craftsman. These artists prepared zinc or pewter plates for the printing press by engraving them with small hand tools and dies, all with the steady hand of a surgeon and the discerning eye of an artist. This video shows one of the last of these craftsman engraving a metal plate. Remember, everything is done by hand…and as a mirror image of the final product. Whether you are just about to embark on the wonderful journey of learning music, or are continuing your studies, there are some things you can do to help make sure you will be getting the very most out of your lessons. 1. Find the right teacher. Sounds easy, right? Sometimes it is, sometimes it isn’t. Your teacher must have your musical and personal respect. Have you heard him/her perform? I mean, do they *really* know what they are doing, or are they just talking a good game? Do you like their music and style? Having said that, there are some great performers who are lousy teachers. Teaching skills are not the same as performing skills. A good teacher has both. Also, sometimes students outgrow their teachers. A good teacher will recognize if that happens, and send you on to a different instructor with their blessing. 2. Be on time for your lesson. Should I really have to say that? Apparently, yes. After decades of teaching, I am still amazed at how many times students late. My studio policy includes the line “tardy students will receive what is left of their time.” Show respect to your teacher and fellow students by being on time. Simply stated, your teacher can’t teach you if you aren’t there. 3. Go to your lesson with a good attitude. If you walk into your lesson having decided you will probably hear something you will never understand, or be assigned something you will never be able to play, you are probably right. Don’t expect to have a song or concept mastered immediately. It takes time. 4. Keep focused on the purpose of the lesson. It’s fine if you and your teacher (or you and your classmates in group lessons) become good friends, but save the personal chats for after class. 5. Ask for help. If something doesn’t make sense, ask for clarification. If you don’t feel comfortable asking your teacher a question, refer back to #1. 6. Take notes. Always have a pencil handy. Jot notes on your music, or on post-it notes, or in a journal, or whatever works for you. It is pretty difficult to remember everything that is said in an intense lesson. 7. Don’t bother to tell your teacher you “played it better at home.” Of course you did. So did I. Remember, at one time your teacher was a student. We know. 8. Go prepared. It doesn’t make a lot of sense to take lessons unless/until you are dedicated to practicing. You are not going to learn much music with a lesson a week with no practice in between lessons. Imagine how long it would take to learn to read (or any other task) if you only worked at it for 30 minutes a week. Seriously. It all boils down to common sense and respect – respect for your teacher and yourself. Study, work hard, but always take enjoy!